Gold Plated Heart Earrings Only $1.90 SHIPPED! You are here: Home / Great Deals / Amazon Deals / Gold Plated Heart Earrings Only $1.90 SHIPPED! I’m LOVING these earrings! 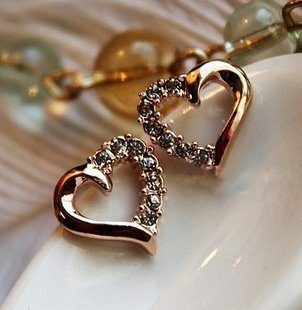 Get these really pretty Gold Plated Heart Earrings for $1.90 + FREE shipping! These are a pair every woman should have in her jewelry collection! And, at this price, you can grab one for yourself and a few others to give as gifts!